Hi, I'm Maximus. I’m adopted! Max was adopted July 2016! 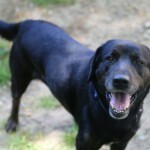 You know what they say about labs – they love everyone, and Maximus (who we call Max) is no exception! 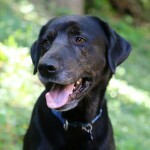 He’s happy to greet strangers as well as friends, and barks and wriggles with joy when someone comes in the house. It doesn’t take long for him to get that out of his system, and then he enjoys sitting by your side, just being petted. 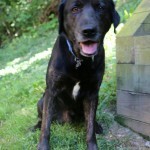 After only a couple of days in his foster home, he’s made himself comfortable with his new pack of humans and canines. They also say that labs are big puppies, and, well, Max is that, too. He likes to carry around toys and chew on them. He’s a strong chewer, and when he gets hold of a bone, you hear some pretty scary noises… but don’t worry – his teeth are really strong! He sometimes takes a chew toy outside and leaves it, but will run back to get it when you remind him, ‘Get your toy!’ And he does like chasing those toys, but isn’t always willing to drop them so you can throw them again. Max had a good time at the dog park, although he seemed to like playing tug with the people there, more than running with the other dogs. Max enjoys going on walks, but gets barky and overly excited when he encounters other dogs on leash. He is strong and sometimes pulls to check out something off the path. Using a Gentle Leader seems to help him focus. He enjoys car rides, too, and sticking his head out the window. He does not seem to have gotten much training beyond ‘sit’ in his prior home, so we are working on some basic skills – down, stay. He catches on fast! 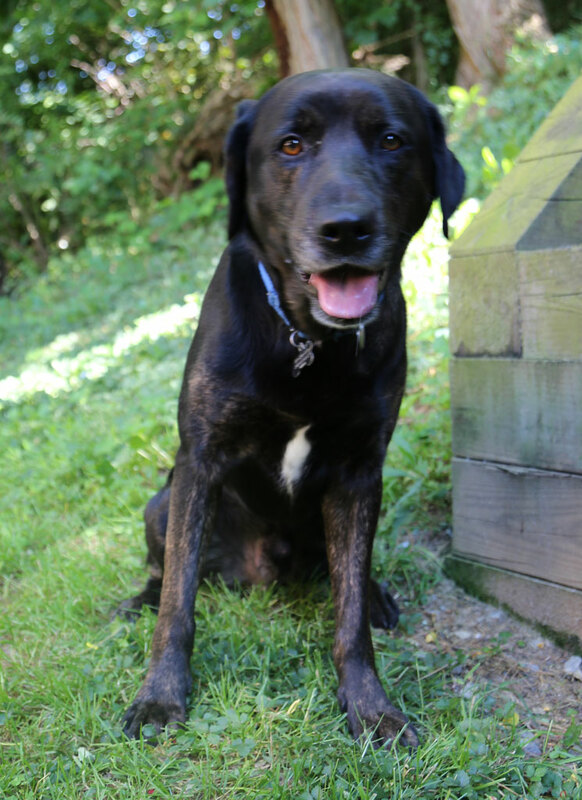 Although Max was purchased by his original owner from a breeder, he has a white blaze on his chest and brindle markings on his legs and face that are not typical lab, so he could be mixed with something. 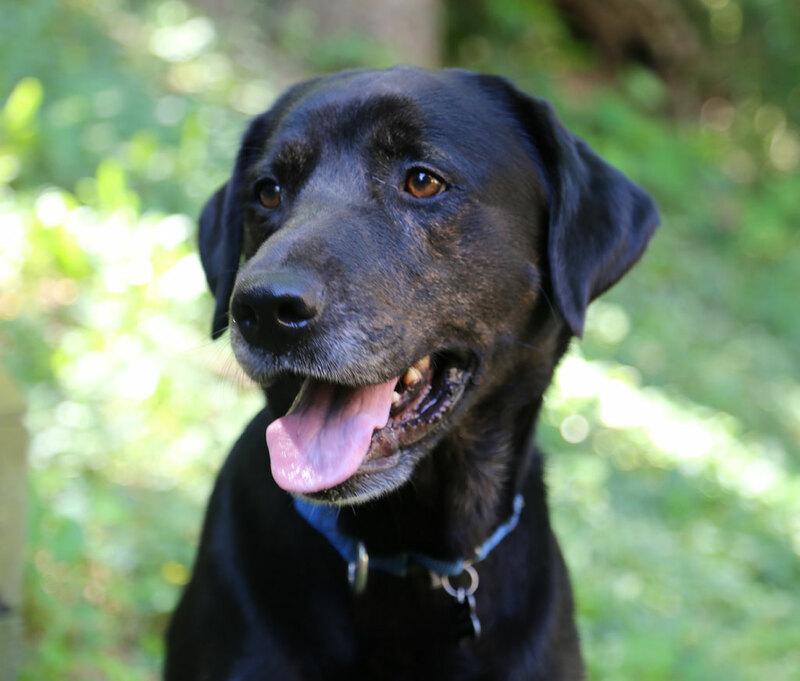 Whatever the combination is, Max is a sweet dog who would be a great addition to any family! If you are interested in Maximus. I’m adopted!, consider letting us know by filling out a (no-obligation) adoption application. Please consult our Adoption FAQ before contacting us. 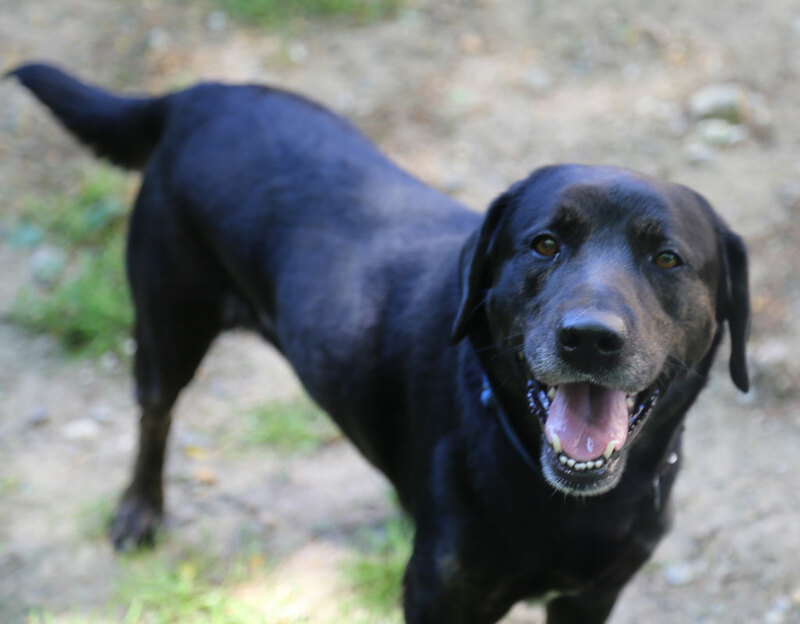 Max is planning to attend the next adoption show, July 9th at the Calverton PetSmart, but only from 12-1:30, although there is always a chance that plans may need to change at the last minute.